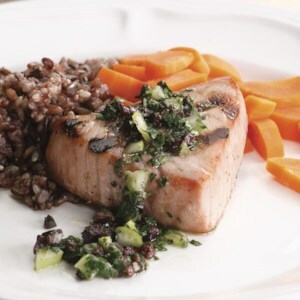 Find healthy, delicious low-calorie tuna recipes, from the food and nutrition experts at EatingWell. 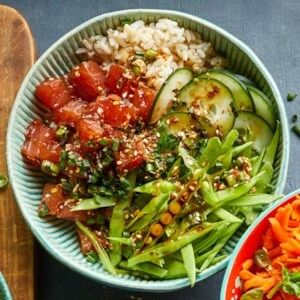 Poke (pronounced poke-ay), a Hawaiian word meaning "to chop" or "to cut," refers to a traditional Hawaiian salad of diced raw fish in a simple, soy-based sauce with punchy seasonings like toasted sesame and chopped scallion greens. Serve with seasoned brown rice for a healthy, satisfying meal packed with veggies, protein and fiber. Toasted sesame oil transforms a humble staple like canned tuna into an elegant supper. We love the crunch of napa cabbage in this salad, but romaine lettuce would also work if you happen to have that on hand. 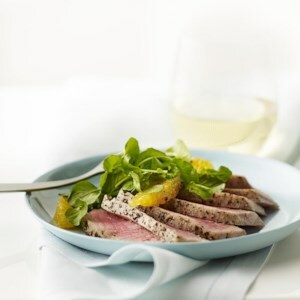 This vibrant salad recipe contrasts flavor, texture and color--the velvety tuna steak is matched with crisp, peppery watercress and the floral tart-sweetness of blood oranges and aniseed. Blood oranges make the dish especially pretty--they're available December through March. 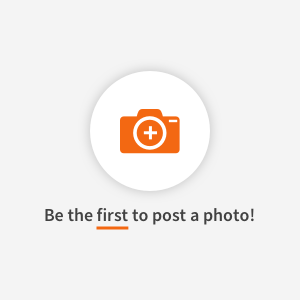 If you can't find them, use any oranges that look good. 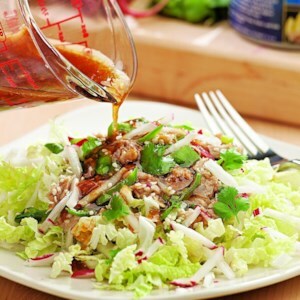 This tuna-patty-topped salad, featuring rice noodles, fresh herbs and lots of fresh vegetables, deliciously exemplifies the Vietnamese approach to healthy eating. 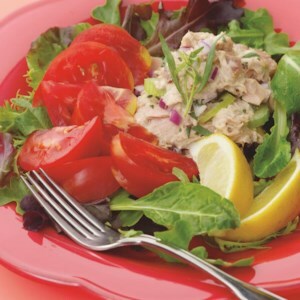 Tomatoes and tuna were meant for each other, and fresh tarragon seals the deal. Soaking the onion in cold water tames the heat and sweetens its taste. Just like mom used to make--only healthier and updated with fresh flavors like sun-dried tomatoes and toasted pine nuts. Lemon zest, capers and tuna lend a bright Mediterranean flavor to this simple marinara sauce. Serve over whole-wheat linguine. Serve as a quick, light supper or as tapas with a glass of sherry. The components of a salade Niçoise take on a delicious new dimension when grilled. Buy anchovies packed in olive oil because the oil is used in the marinade. Simple, quick and comforting, these golden cakes go well with a spoonful of reduced-fat sour cream and a sprinkle of chopped fresh chives. 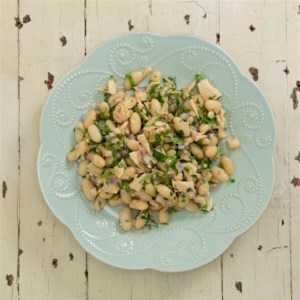 Try mixing in a bit of chopped dill, capers or lemon zest for a variation. An unusual and rich flavor combination; serve this salad with sliced tomato on French bread. Here's a salad that's as beautiful as it is delicious. The spicy orange-ginger dressing is so good, you'll want to double (or triple) it to serve on your salad throughout the week. South-of-the-border seasonings spice up a basic tuna salad. Serve over lettuce or try as an appetizer dip with baked corn chips. The time-honored Italian pairing of canned tuna and cannellini beans makes a super-simple, satisfying lunch. Serve over salad greens, on grilled whole-wheat country bread or tucked in a whole-wheat pita pocket. 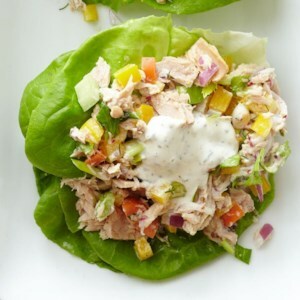 Looking for a new way to dress up your tuna salad routine? 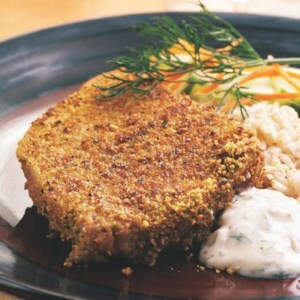 Try antioxidant-rich walnuts and fresh dill. 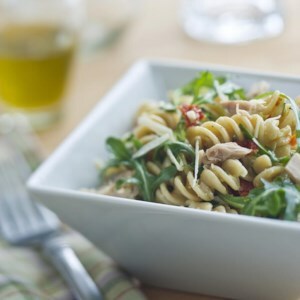 Make it a meal: Serve over baby arugula and tomato slices with a slice of whole-grain bread.